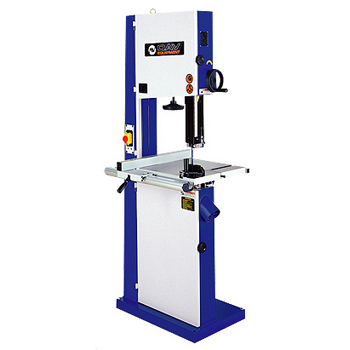 Sierra sin fin, SBW-4300 (CE) - OAV Equipment and Tools, Inc.
OAV-presenting with the most updated full range of steel frame band saw to take care of your every need. Oav series band saws giving you clean cut via its well built quality, best choice for trouble-free and friendly operation. Come and pick them up to start your wonderful woodworking time via having them around. Life is ought to be like this, isn't it? Table Size 17" X 17"
(430 x 430mm) 19" X 19"
(480 x 480mm) 21" X 21"
Max. Cutting (Rip Fence) 14-5/8"
Saw Blade Width 3/8" to 1"
(Standard 1/2") 3/8" to 1"
(Standard 3/4") 1/8" to 1"
Machine Size (LXWXH) 32 x 26 x 74"
(820 x 670 x 1880mm) 36 x 30 x 78"
(920 x 770 x 1990mm) 40 x 31 x 80"
Packing Size (LXWXH) 30 x 20 x 80"
(770 x 510 x 2040mm) 34 x 20 x 85"
(870 x 510 x 2170mm) 37 x 20 x 87"